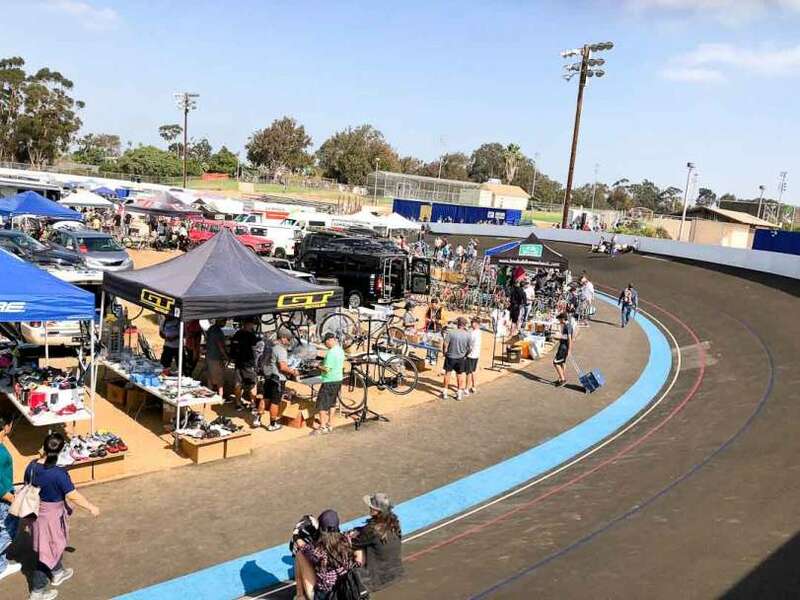 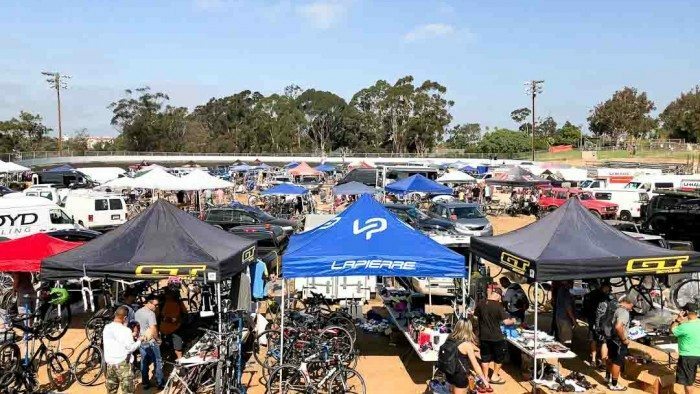 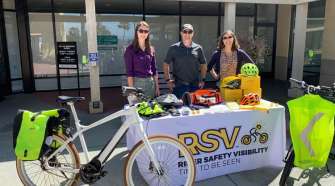 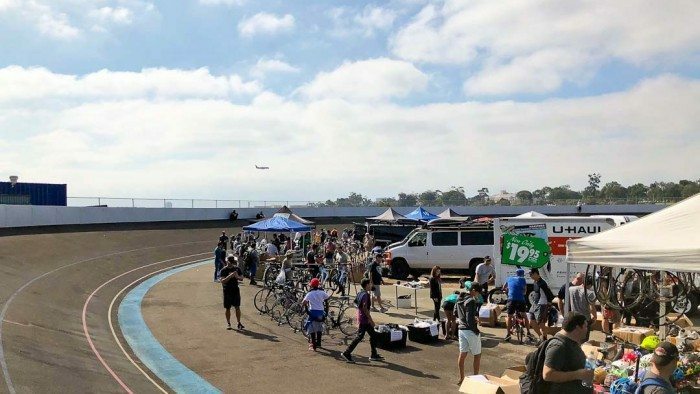 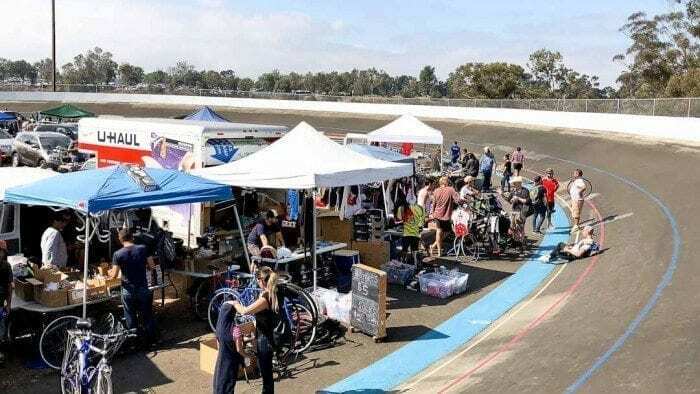 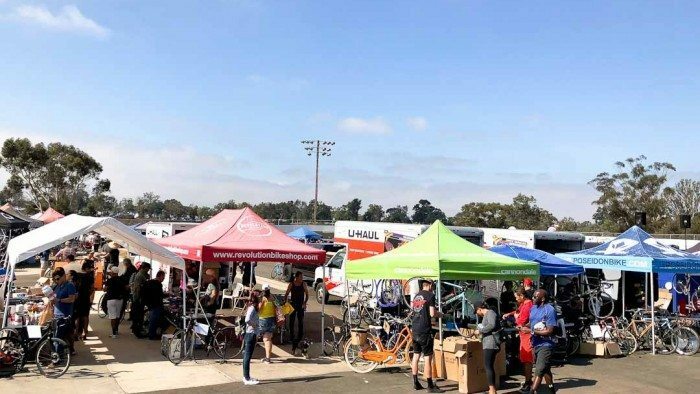 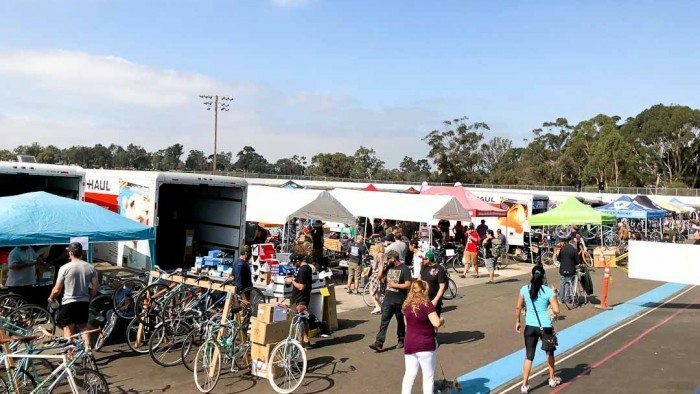 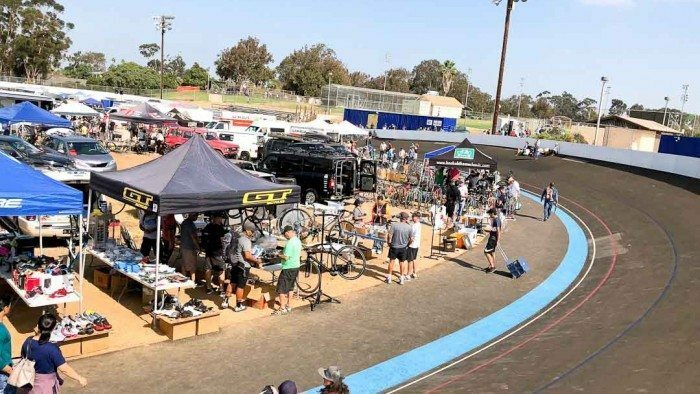 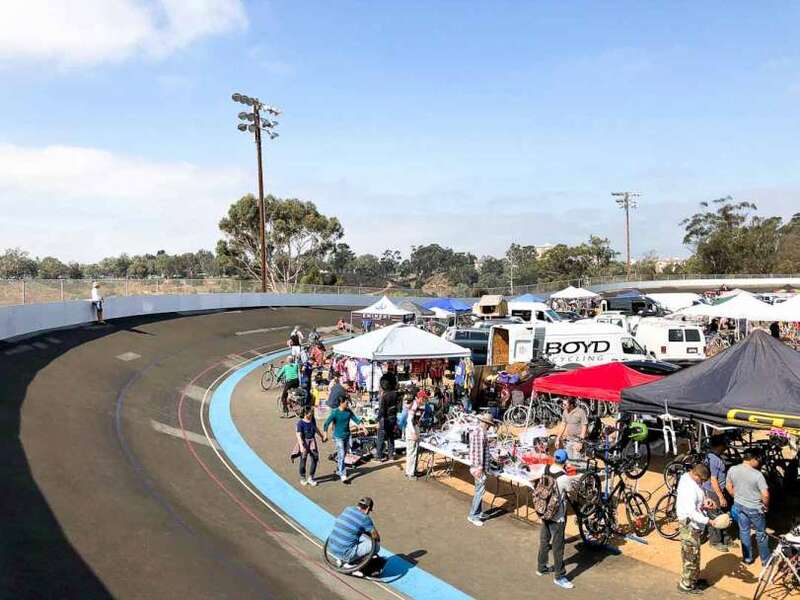 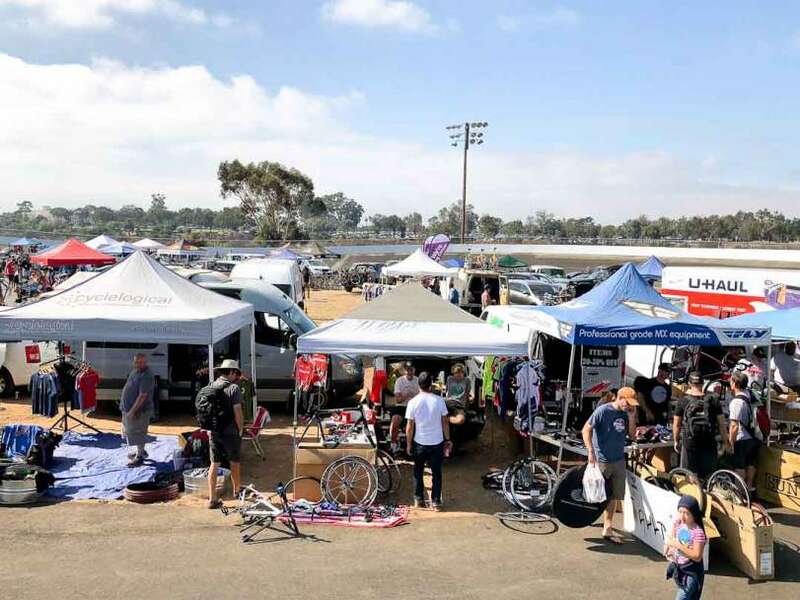 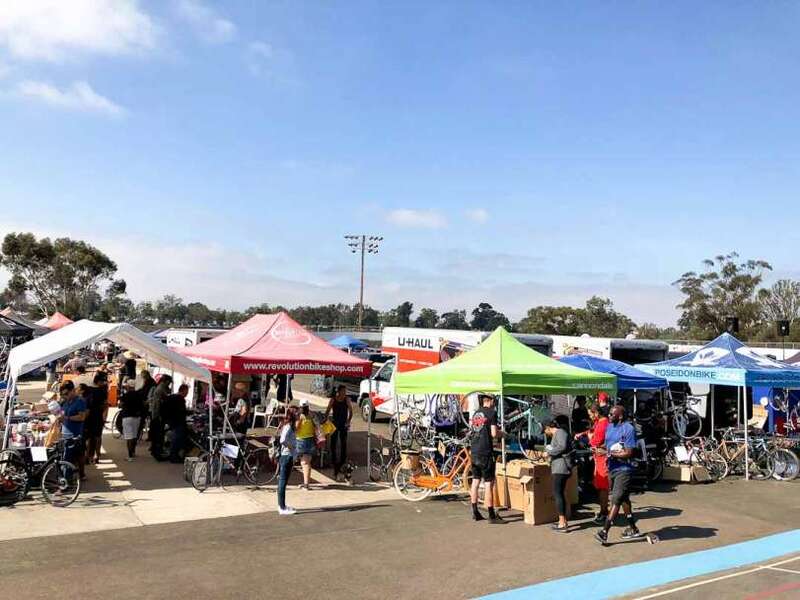 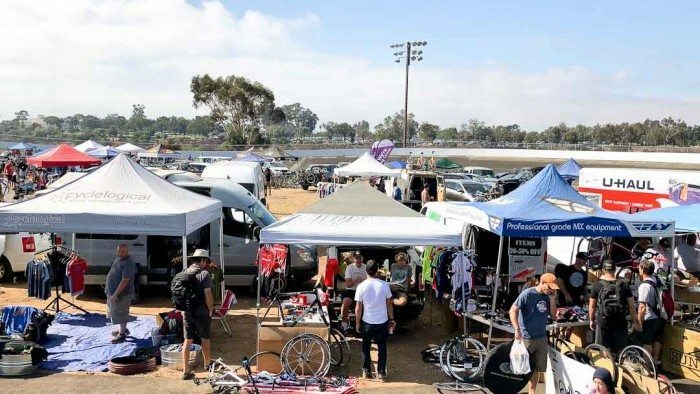 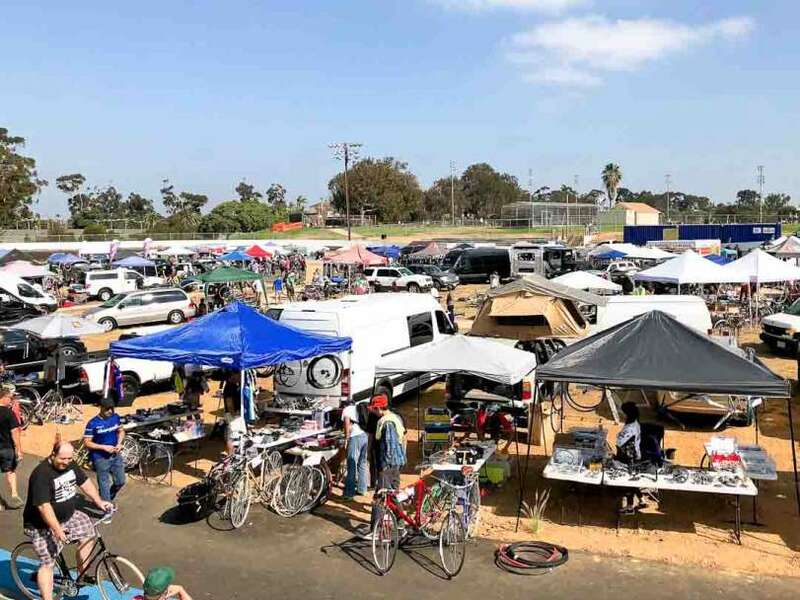 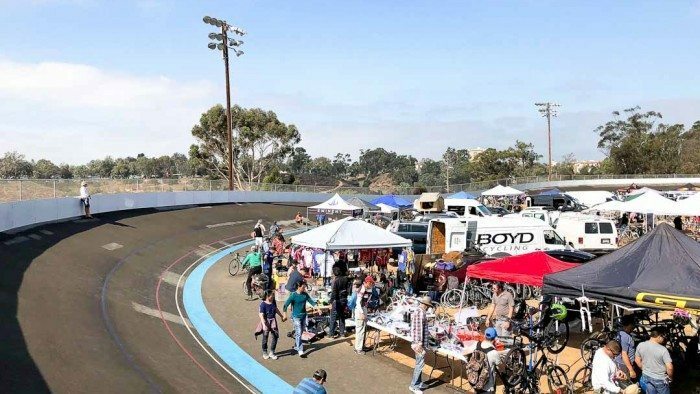 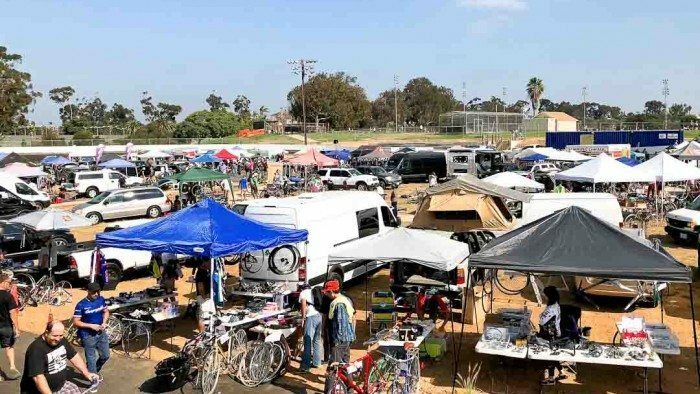 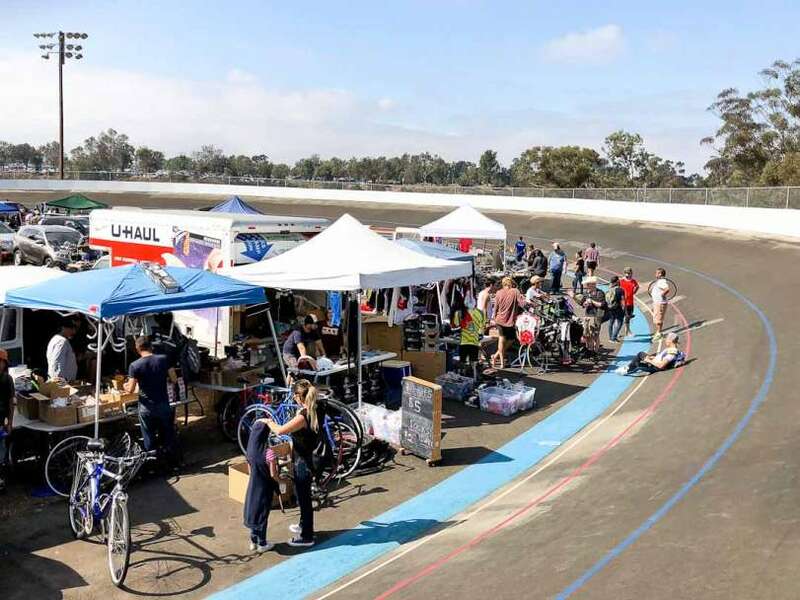 The San Diego Velodrome VeloSwap bicycle swap meet took place this past weekend at the newly revamped San Diego Velodrome. 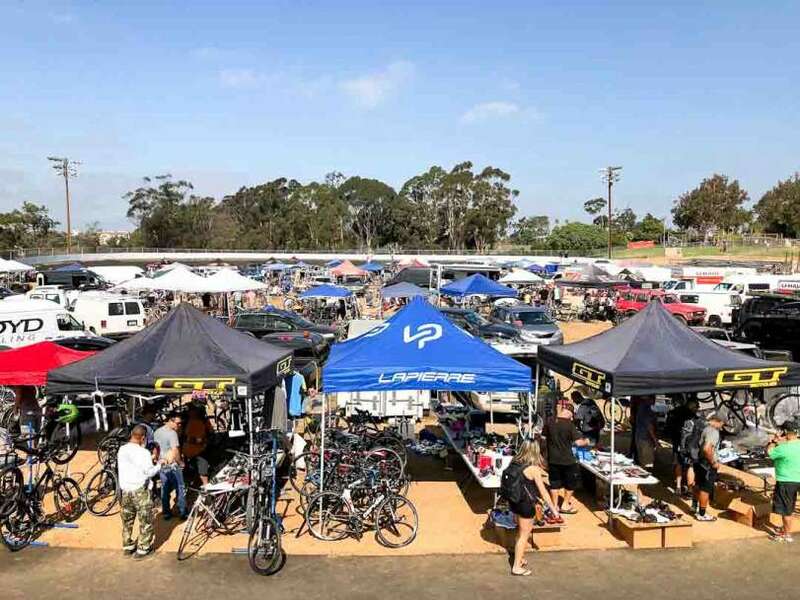 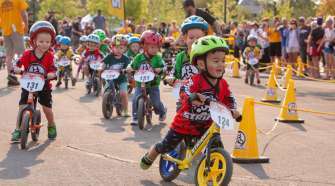 The VeloSwap is an annual Fall tradition where sellers can sell there old cycling gear that is no longer needed and where buyers can find a great deal, vintage bike or old part that has been eluding them at the local bike shop. 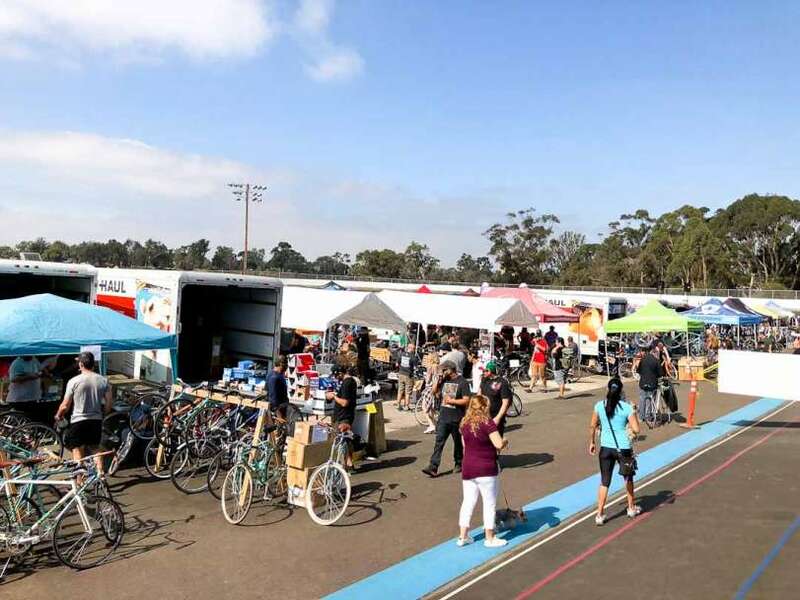 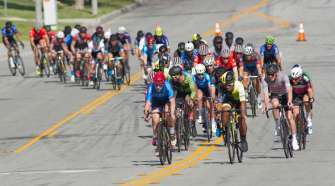 Sellers at the VeloSwap include bike shops, teams, vendors and those that are just trying to clean out their garage to make room for new bike equipment. 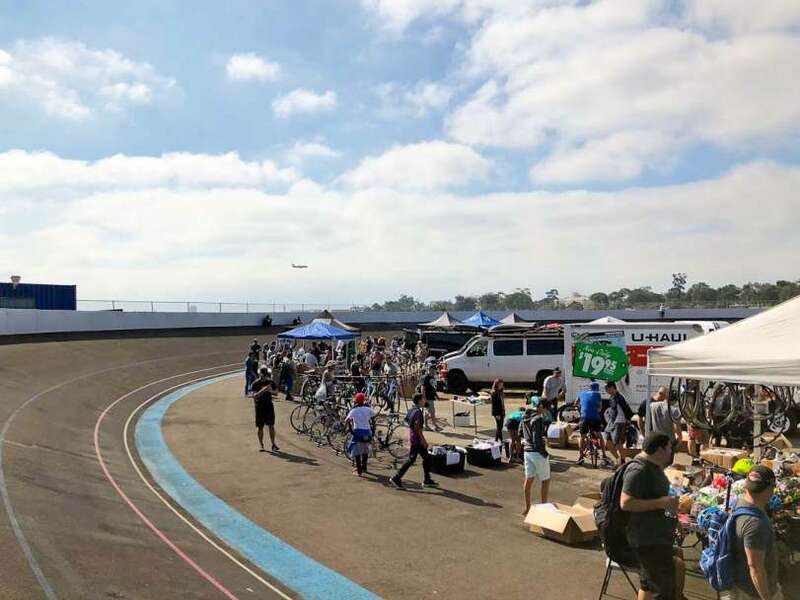 The San Diego Velodrome VeloSwap is always a great event to run into old friends and enjoy the sunny San Diego weather.